What is this green cake with plastic-y texture, found at an Asian store? I discovered that it has a very strange texture (as seen in this video). Can anyone help identifying it? The store advertised itself as "Thai", though I'm not convinced that that actually means anything, since I'm living in Germany. 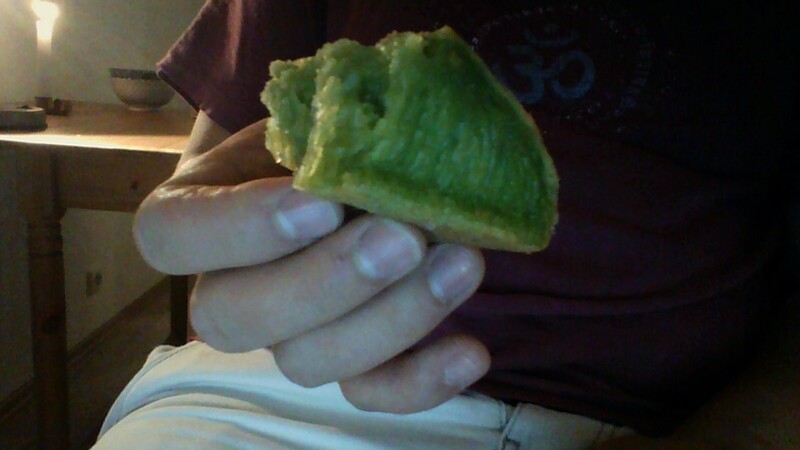 That looks like a steamed corn bun/bread coloured green. I think the corn flour has been mixed with tapioca starch giving it a sticky elastic texture. Not the answer you're looking for? Browse other questions tagged asian-cuisine food-identification sticky-rice or ask your own question. What is this Asian dish made with boiled vegetables? What is this really tasty part of a chicken found in a cavity in the hip? What is this green, bulbous, leafy vegetable? What is this spiky-leaved Mexican plant with large seed pods?